By combining early intervention with an understanding of cancer genomics, however, mankind could be on the cusp of fighting cancer effectively and at scale. "We are at the intersection of three of the most exciting revolutions in cancer therapy," Lin said. With the advent of genomics, diseases that were once grouped based only on clinical descriptions are now being understood more precisely as different rare diseases. "Everyone wants to find a rare disease that can also be used for a majority of the population," Lin said. "Many blockbuster drugs started off as rare indication. If you have something working for one disease, you want to try it for others as well." He added, "The drug pipeline for common diseases is drying out, so pharma companies are trying to get creative here." “New syndromes and new genes are being described almost every day,” says TED Fellow Jimmy Lin, a director of clinical genomics at the National Institute of Health. Lin wanted to do a better job of connecting patient with researcher (and vice versa), so he launched the Rare Genomics Institute to help. “The genomics revolution has allowed us to understand rare diseases on a molecular level in a way that was not possible before,” says Jimmy Lin, founder of the Rare Genomics Institute, a US non-profit research network. These breakthroughs have been accompanied by a second driving force: digital technology. The ability to harvest and analyse large volumes of genomic data are accelerating the hunt for genetic markers of disease and, crucially, helping identify people with rare conditions who might previously have gone years without diagnosis. The investments come as researchers harness recent scientific advances, including the mapping of the human genome, sophisticated and affordable genetic tests and laboratory robots that can screen thousands of compounds per hour in search of the most potent ones. “It’s a very, very promising time,” said Jimmy Lin, a National Institutes of Health cancer researcher who co-founded the Rare Genomics Institute. 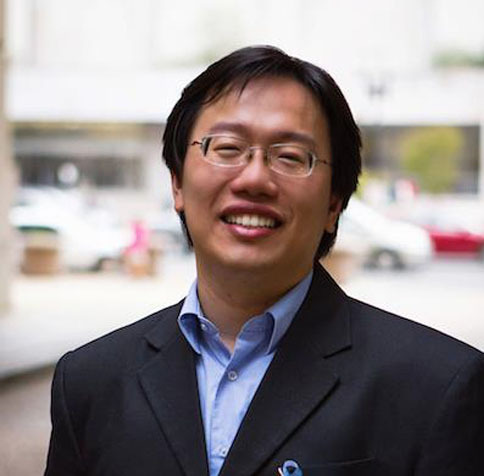 “There were many, many inspiring stories of people fighting cancer, for sure,” Lin would later say of his time at Johns Hopkins, where he received a dual MD-PhD in 2012. But despite his groundbreaking work, the young researcher had become increasingly haunted by an uncomfortable medical disparity: cancer claims nearly eight million lives a year, and attracts billions in federal research dollars, but multitudes more people—25 million in the U.S. alone, and 300 million globally, by some estimates—suffer from rare diseases or disorders for which there are often no clues, let alone cancer-esque coffers of funding. Some medical institutions and associations are joining in. The nonprofit Rare Genomics Institute, for example, was created two years ago to help families raise money to sequence genes of patients with rare genetic diseases, a process that generally costs about $10,000 and is rarely covered by insurance. Millions of people, many of them children, suffer from “orphan” diseases — illnesses so rare that no infrastructure exists to investigate or treat them. Now C Jimmy Lin’s Rare Genomics Institute puts hope and empowerment back in patients’ hands by connecting them with researchers, doctors and community support, and a crowdsourced funding platform. The National Institutes of Health is getting into the action with its “skip the post-doc” Early Independence Awards to help free exceptional young minds from the academic treadmill. Jimmy Lin’s Rare Genomics Institute is crowdfunding genomic sequencing for patients with rare diseases — and there’s much discussion about crowdfunding’s utility in life sciences. Crowdsourcing is gaining traction in life sciences, from FoldIt’s online protein folding games to Transparency Life Sciences‘ crowdsourced clinical study design. After talking with Illumina’s CEO, I spoke with Jimmy Lin of the Rare Genomics Institute about his innovative approach to patient-centricity in treating rare diseases. Dr. Lin has created a crowd sourcing model where patients and their families can raise funds through social networking, use those funds to sequence a genome using services such as IGS, partner with geneticists willing to help interpret the results, and then make the case to pharmaceutical companies to pursue novel treatments based on solid biological data. In essence, the Rare Genomics Institute is a virtual biotech company – patients and families raise the funds (IGS charges roughly $9500 for a whole genome), quickly generate a DNA sequence library, work with volunteer physicians and researchers to identify genetic regions unique to their disease, and present that data to patient advocacy groups and interested biopharmaceutical companies to pursue treatments. Maya’s mom turned to the Rare Genomics Institute (RGI) — essentially Kickstarter for mystery illnesses — which helped her raise money online to sequence Maya’s exome, the sliver of her genome that contains the genes that do most of her cells’ work. Six hours after a fundraising profile was posted with a photo of Maya and a description of the “silly, cuddly girl” who “loves to read books, paint and play with her dog,” a combination of friends, relatives and strangers had raised the $2,500 needed — a subsidized rate Yale had agreed to charge RGI families. Medical institutions are getting into the crowd funding spirit, too. As Bloomberg BusinessWeek has reported, the Rare Genomics Institute is helping children with mysterious illnesses solicit money online to pay for the sequencing of their genes. I met Jimmy Lin last year at TED. He's a research instructor at Washington University in St. Louis and founder of the Rare Genomics Institute, a "non-profit that makes cutting edge research technologies and experts accessible to rare disease patients." Today, Jimmy announced a rare disease competition for the best research proposal. “There are millions of kids wandering from place to place that no one is really helping,” says Lin. He believes answers may lie in their genes. To find out, he and more than a dozen other young scientists and researchers created the Rare Genomics Institute, a nonprofit that leverages falling DNA sequencing costs and rising online giving to support medical research. Using RGI’s crowdfunding platform, Maya’s family sought to raise the amount needed. The response was overwhelming. Within 6 hours, donors from all over the US gave to their cause in small amounts of $5 - $50 to raise the funds necessary for whole exome sequencing. With the funding available, the scientists were able to start the research study. Holy Genetically-Engineered Organisms Batman - Synthetic Biology Has A Banner Month! The founder of the Rare Genomics Institute, Lin seeks to help families like the Nieders who are looking for genetic answers unlikely to be found through traditional research because a condition is so rare. The Rare Genomics Institute allows patients and their families to appeal to others on the internet and crowdsource funds for genetic research. Cheap DNA Sequencing: What's in it for You? "Maya is the first person in history with an error in this gene," says RGI founder Jimmy Lin. "So, you could say we may have identified a new disease through this ... and we're now able to take next steps. "DNA sequencing has already revolutionized the way we diagnose and treat diseases like cancer. However, it's especially useful for rare diseases that may hinge on just a few individuals. For immediate press inquiries, please call 650-249-9090. Dr. Lin has published over 100+ papers, book chapters, and abstracts including top academic journals such as Science, Nature, and Cell and has spoken at top universities such as Harvard, Yale, and Stanford. Dr. Lin has delivered over 100+ keynotes, speeches, and panels in 19 countries on 5 continents, including TED, Aspen Ideas Festival, Google, the White House and the European Commission. Dr. Lin has been featured or mentioned in over 300+ media outlets including New York Times, Washington Post, CNN, Financial Times, Forbes, BBC, WIRED and TIME. NEWS FLASH: A NEW PROJECT FOR PATIENTS! LEARN MORE HERE !